Simply put, R-value is a measurement of how insulating a building material is, protecting one side from the heat or cold on the other side. A higher R-value means that a material insulates better than one with a lower value. 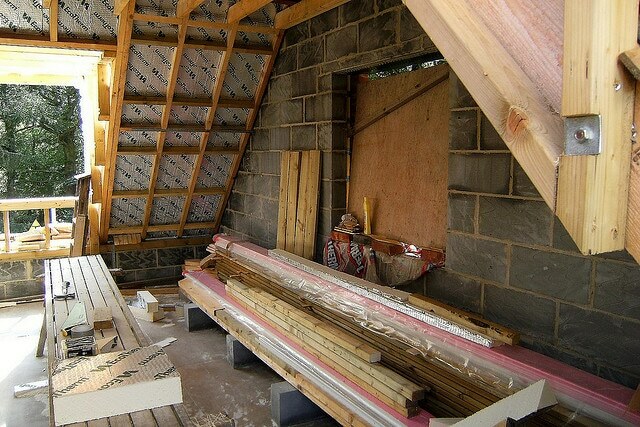 Building insulation has different R-values depending on the type of material being used and the thickness. Different materials are used in different areas of a building, and they are designed to be used in different types of construction. Fiberglass – Made of blown glass threads that are either matted together into batts or distributed loosely, this is the most common material used in residential construction today. The fiberglass “batts” are either stuffed into the spaces between the studs in the exterior walls of a building, or they may be laid down on the bottom of an attic space. 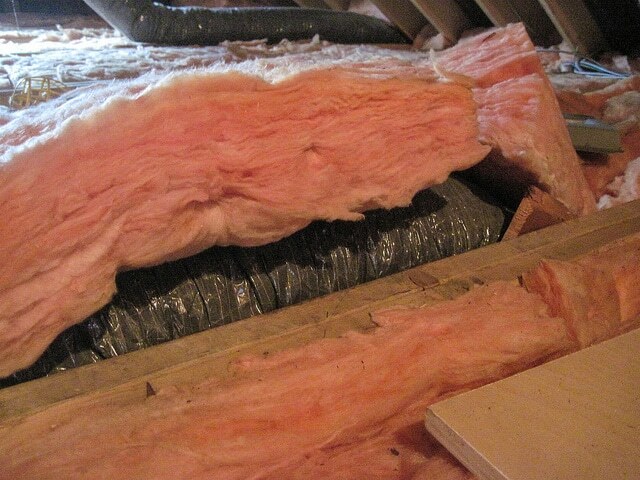 Other forms of insulation, such as loose fill or boards, are used in other locations, such as a basement or crawl space. Fiberglass batts come in a wide range of R-values, most commonly from R-11 to R-38. Foam – Spray foam insulation is made by mixing two chemicals (isocyanate and polyol resin, if you are interested) that react and cause the foam to expand to fill the space it is placed in. It can be shot into spaces through small access holes, making installation in retrofit projects easier than standard batts. There are two types of spray foam – open and closed cell – with closed cell being the most dense and therefore having a higher R-value. Foam averages R-5 to R-6 per inch, compared to R-2 to R-4 per inch of fiberglass. Recycled denim – Blue jeans and other denim products are shredded and the cotton fibers are woven together to form batts, similar to standard fiberglass insulation. 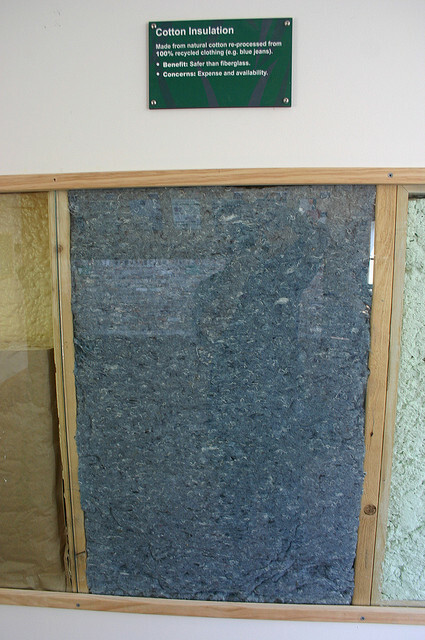 The denim used to produce this insulation is post-consumer, so it removes products from the waste stream and repurposes them. Denim batts provide slightly better R-values than similar thicknesses of fiberglass. So, why is all this important? R-value is an additive property, meaning that by layering several materials on top of one another, the R-value of the assembly will be the sum of the individual products. For example, a wall made up of a sheet of drywall, R-11 insulation, and a sheet of plywood would have a total R-value of 12.07 (0.45 + 11.00 + 0.62). Think of it as adding multiple blankets of varying thicknesses and materials to keep warm. There are a few more things to consider when determining how insulating a structure is (we will explore some of them in an upcoming post), but for the most part, the higher an R-value the building shell has, the easier it is to heat and cool and the less energy is needed to keep it that way. Of course, there are things like doors and windows that don’t insulate as well or let in outside air, lowering the insulating ability of the building. When designing a new structure or remodel project, look to increase the R-value of as much of the exterior walls, roof, and floor as possible. A well insulated building is more efficient and less expensive to heat and cool. We will discuss some other considerations when looking at R-value and insulation in a coming post.